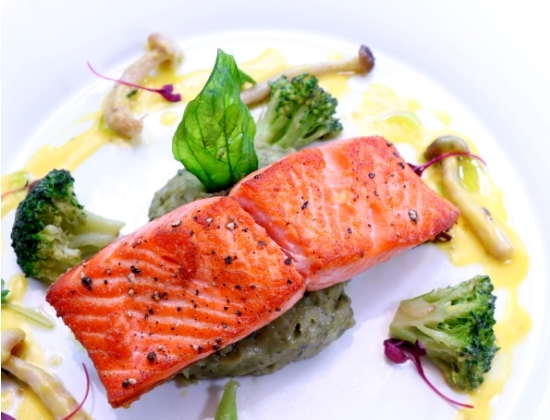 Oven Baked Ocean Trout Fish Fillet - Norwegian Fjord Trout with pesto mashed potatoes, sautéed broccoli and shimeiji mushrooms with saffron garlic sauce. Get it now at RM65++. For more information on Michelangelo's Restaurant Deli.Bar, enter here.